Not much is written about a great Irish Patriot who fought with such distinction in the War of Independence called Charlie Hurley. The intention of this dedication is to ensure that when the young players in our great Club meet, train and play in our grounds, Pairc Cathal Ui Muirthle or better known as “ the Charlie Hurley Park ”, they will have some idea of who the great man was, of his time, just short of one hundred years ago, and ultimately of the great contribution, and ultimate sacrifice he made for his locality, his County, his Country, and in the overall fight for Irish freedom. A mere 50 years after his death, in 1972 the Charlie Hurley Park, Bandon was officially opened. The grounds were dedicated to the memory of that same Charlie Hurley who was a local legend of the 1920’s in the fight for Irish Independence. Charlie was Commanding Officer of the Bandon Battalion West Cork Brigade and tragically he was to make the ultimate sacrifice of laying down his life for his Country on the 19th March 1921 on his 29th birthday. Charlie Hurley was born in Baurleigh, Kilbrittain, just to the South of Bandon near Careys Cross, on the 19th March 1892. He was born the fifth child in a family of seven to parents John and Mary Hurley. He was educated in his local Baurleigh National School and later attended Secondary School in Bandon town. In his early teens he found work in a store in Bandon and while employed there he studied for, and passed an examination as a boy Clerk. His first posting was to Haulbowline Dockyard in Cobh and he worked there from 1911 to 1915. Aged scarcely 23 years he was promoted to Liverpool. He was at this stage an active Volunteer in the Irish Republican Army and since his time in Bandon he was actively involved in Sinn Fein, the Gaelic Athletic Association, and the Gaelic League, and as his promotion would entail conscription to the British army, then actively engaged in “The Great War” on the Continent, he politely declined the position and refused to travel. The cause of Irish nationalism was always dear to his heart and he returned to West Cork becoming actively involved in organising the Volunteer movement. In 1917 he took up employment in Castletownbere and became a leading figure in the Volunteer movement in the Beara Peninsula. This posting was to also serve him well in getting to know the highways and by-ways of the vast West Cork region. It was while based in Castletownbere that he first became known to the occupying British forces and in early 1918 he was arrested. He was charged and found guilty of possession of arms and having detailed plans for the British base in Bere Island. He was sentenced to five years penal servitude and served some time in Cork and Maryboro prisons, but while on a hunger strike he was released in October 1919 under the Prisoners “Temporary Discharge For Ill Health Bill 1913” more commonly known at the time as the “Cat and Mouse Act”. Under this Act prisoners on hunger strike were temporarily released, and bizarrely were meant to be re-arrested when their health improved. Immediately on being set free he established the Kilbrittain Company of Volunteers and in January 1920 he was appointed Vice-Commandant of the Bandon Battalion. He worked night and day to organise the I.R.A. Volunteers. His stated ambition was to have a full fighting army based in West Cork. In July 1920 following the arrest and torture of Tom Hales by the British forces, Charlie Hurley was promoted to Brigade Commandant ( Officer Commanding 3rd West Cork Brigade ). The Cork Number 3 Brigade encompassed a region from Ballinhassig to the West and South-West. Battalions were centred in Bandon, Clonakilty, Dunmanway, Skibbereen, and all the way West to Bantry, and Castletownbere. He proved to be a hugely popular and inspirational leader and he was driven quite simply by the goal of his Country’s freedom. In that love of Ireland he could only ever see two possible end results, either his Country’s freedom, or his laying down his own life in attempting to achieve that freedom. During this time he confided in his good friend Tom Barry of his premonition that he would die alone, fighting against the British and without his comrades in arms. As Brigade Officer Commanding he oversaw and formed a Brigade Column, which under the stewardship of General Tom Barry became the West Cork Flying Column, famed to this day in song and story. Charlie Hurley’s hard work, organisational ability, and innovation was to change the face of the entire struggle for independence. Ultimately it would be a decisive factor in the outcome of that great struggle. On or about the 25th April 1920 a group led by Charlie Hurley attacked a Timoleague based police patrol at Aghawadda. Three policemen were killed and at least one other wounded, and all arms and vital ammunition were confiscated by the rebels. On 2nd July 1920 he led a second raid on the House Strand Coastguard station in Kilbrittain. Despite being fired on they forced the Coastguards to surrender and again captured their arms and ammunition and a vital radio installation. Charlie Hurley was previously Vice Officer commanding of the Bandon Battallion and his undoubted talent which was there for all to see, saw him promoted to O.C. over the heads of many far more experienced Officers. On the 21st October 1920 along with Tom Barry he led an ambush at Toureen, Ballinhassig where five Black and Tan’s were killed and a large amount of arms and ammunition were taken. The English were routed and when an overjoyed Hurley addressed his men after the battle, he presented Tom Barry with the revolver of the recently deceased Captain of the British troops. Charlie Hurley’s all too short history is meticulously documented in General Tom Barry’s book “ Guerilla Days in Ireland “. Barry and Hurley trusted one another implicitly and became firm friends.Together they attempted an assassination of the infamous Major Percival in Bandon. Percival was a Company Commander and later Intelligence Officer of the first Essex Regiment based in Kinsale, and he was despised by the Volunteers. He was renowned for his ruthlessness and brutality in the torture of prisoners and ran what was known as “the Essex Batallion Torture Squad “. Just twenty years later in 1941 his place in British Military history was finally secured when as Lieutenant General he led the British troops that surrendered to the Japanese in Singapore. The biggest capitulation in British Military History. Field Marshall Bernard Montgomery, then a young Brigade Major, was also based in County Cork at the time and cut his teeth as a Senior Officer in what the British liked to call “counter insurgency operations”. He too, in correspondence, supported the idea of the British, behaving like Cromwell when dealing with their Irish subjects. Barry in his book also documents an incident in an unnamed West Cork town where a Judge was staying in a local Hotel while presiding over Court hearings. This man was clearly no friend of the Republican movement and wherever he could, he meted out custodial sentences on Volunteers far in excess of other members of the Judiciary of the time. His accommodation was fortified by a heavy presence of Black and Tans who guarded his every move.Barry and Hurley decided to attempt an assassination.They were acting on I.R.A. intelligence and they knew the Judge was located in a particular room at the back of the Hotel, and also that on his first two nights he had chosen to retire at 11.00 p.m. and that on each occasion he had opened the bedroom window to take in the night air. On the third night Barry and Hurley were in prime position to ensure the learned Judge had handed down his last custodial sentence. He had spent the evening wining, dining and socialising with his Black and Tan security. Positioned for a quick getaway they waited and at about 11.10 p.m. the light came on in the hotel room and quite a time later a figure came to the targeted window. With rifles at the ready and positioned only a short distance away, where in reality they could not miss their target, both men were poised as the window blind came up, and standing there taking in the night air - a woman. The Judge had decided that evening he wanted to move to a larger room and the woman would have been a completely innocent victim. Totally shaken by their experience, Charlie Hurley told Barry that he only delayed firing because he was waiting on a signal or a word from Barry to open fire, Tom Barry on the other hand could not to his dying day explain his delay in pulling the trigger. Charlie Hurley did not fight in the Kilmichael ambush and while the battle was raging he was busy organising troops in Clonakilty.That night he joined the Flying Column at their encampment at Granure, Ballinacarriga, and in the words of General Tom Barry “ the exhausted troops slept much the sounder “ knowing he had taken charge of the security cordon protecting them. In the days after the successful Kilmichael ambush Tom Barry was taken ill and almost died.He was eventually safely taken to the Mercy Hospital in Cork City and was recovering there when the City was burned by the Black and Tans on the 11th of December 1921. British troops were all over Cork City and movement in and out was severely restricted. At great risk to both life and limb, and well aware of the dire consequences of his possible capture, Hurley arrived at Barry’s bed-side and brought with him some books to occupy his good friend together with precious ammunition for the Colt automatic pistol that Barry carried with him at all times. Hurley was heavily disguised and had walked the last twelve miles only to be greeted by his astonished friend with the line “”you lunatic what brought you in here”. They talked long into the night and Hurley relayed to Barry about an unsuccessful ambush at Gaggin, just outside Bandon where a local Volunteer was killed. As always Hurley was guilt ridden over the loss of life and was questioning his own planning of the ambush. He spent hours mulling over each detail of the ambush with Barry until his Commander could confirm that he was indeed blameless. Much of that night was given to the actions of the then Bishop of Cork, Bishop Cohalan who had at that time published an Excommunication Decree and denounced the Volunteers and their activities. Both men worried about the effect it would have on the Volunteer’s and their morale as the Bishop’s remit extended from Cork City all the way to Bantry. Religion and the Catholic Church played a very big role in most of these men’s lives and now the Bishop was forcing them to give up the struggle they were actively engaged in, or risk being booted out of the Church. The Bishop’s Decree however did not take into account the character of these Senior Officers of the Brigade and the Battalions like Charlie Hurley. Indeed the Bishop had seriously underestimated these Volunteers and their determination that Ireland would be free, and when given the stark choice they made it clear that no Bishop or Church was getting in the way.These men were quite prepared to die for one another, and for their cause.The Volunteers made it clear to a man that they were very disappointed with the actions of the Bishop and if the Church wanted to force the issue, they would come a poor second. With Barry fit and well again, on January 03rd and 15th they led further attempts to capture the Kilbrittain Black and Tan Post. The initial attempt failed because a mine planted at the front door failed to detonate and incredibly the same thing was to happen on the night of the 15th. The lack of proper arms and munitions was to prove the biggest stumbling block to the success of the Flying Columns and it is clear that for many attacks the arms were rationed. Unfortunately there was no easy remedy to this ongoing problem and while barracks were raided and some arms and ammunition captured, it was never enough. At the time there was simply no other means of arming the Volunteers. In what were to effectively be the last action packed months of Charlie Hurley’s young life, he and Barry continue to devote all their time to organising the Volunteers. The Volunteers were trained to enable them strike at any time. Innishannon Barracks was to be their next target as it’s location enabled it to oversee and control the only bridge between Bandon and Kinsale. A “dummy run” was staged on the 17th January when Hurley and Barry fired shots into the Barracks. This was done purely to enable the Brigade check the British fortifications and their response times to an attack and everything the British did in response was documented by the Volunteers. On the 25th January 1922 Hurley, Barry and Liam Deasy were to the fore in a daring raid on the English Garrisons in Bandon town. Co-ordinated and led by Barry it involved seventy Volunteers but had only moderate success as it appeared the British knew their plans in advance and were refusing to engage.As the stalemate dragged on into the night Barry became worried about the British sending for reinforcements and the Brigade could easily be surrounded and destroyed. His fears proved correct but luckily the Volunteers had evacuated the area just in time. Fearless to a fault in those action packed months his Brigade also engaged the British all over West Cork most notably at Fanlobbus (Dunmanway), Carrigmore (Enniskeane), Palace Anne (Enniskeane), Kilbrittain, Farnahoe, Ballinadee, and in the area around Bandon at Tinker’s Cross, Lauragh, Kilpatrick, Newcestown, Mawbeg, and Mallowgaton. In the Upton Train ambush on the 15th February 1921 in which three of his men and eight innocent civilians died, he led a troop of nine I.R.A. men in an attack on the British Military at Upton Railway Station. He was wounded in the face, when a bullet entered just behind his right ear and exited on the left side of his nose, and later when making his escape he also suffered a foot injury jumping from a bridge which was to further hamper his recovery. Hurley had reason to be optimistic about the Upton ambush as his IRA intelligence from Cork City had established that twenty Black and Tans would be travelling in a single carriage on the Cork to Bandon train. Five days earlier on February 16th there had been a similar ambush when a train was attacked at Drishanbeg ( near Millstreet ) where a British soldier was killed and five more were wounded. He was however blissfully unaware that the twenty travelling contingent of the Essex Regiment had been joined at Kinsale Junction by fifty more troops. It was too late when the Brigade learned of this and in the ensuing skirmish that lasted ten minutes, three of the Volunteers were killed in action. Six civilians died in the crossfire and two more were later to die. Once again a lack of proper ammunition was to be the Brigade’s downfall, they were able to call on thirteen Volunteers at Upton that morning, but only seven had rifles, the other six were armed only with handguns. Up to 1920 and into early 1921 Irish Nationalists had engaged in massive Civil disobedience as the way to finally get the British out of Ireland. From early 1921 onwards all out Guerilla warfare was waged. Cork was soon to become the hub of this country’s all out aggression against the British. The “Rebel County” was certainly living up to it’s name. Martial law had been declared and British troops, Auxilliaries and Royal Irish Costabulary were flooding into the County, to one way or the other, restore Order. In all 523 people in Cork were killed during this time with at least as many again wounded. This represented nearly one-third of all the casualties in Ireland during the War of Independence. At that time in 1921 the Coroners Courts in Cork had been suspended and had been replaced with Military Courts of Inquiry. Later they were to find that at Upton, civilians had been “wilfully murdered by persons unknown”. As only two of the three slain IRA victims at the ambush were known to the Inquiry ( the third was carried fatally wounded from the scene ) it was said the Volunteers “died from wounds inflicted by the military in justifiable self-defence”. All this activity was at it’s most intense in February and March 1921 when the fight was really taken to the British all over Cork City and County. In all thirty three members of the Third West Cork Brigade were killed in the period from August 1920 to July 1921 when a ceasefire was called. Eighteen Volunteers were killed in the just over two months from January 17th 1921 to March 22nd. Three of these were arrested and shot by British troops and three more Volunteers were shot in their beds. Upton was again a hive of activity on the night of March 18th 1921 with the Flying Column preparing for an ambush in Crossbarry. The British troops had gained intelligence that the Ballymurphy / Belrose area was the Third West Cork Brigade area headquarters. Activity in the area was increasing all the time. Charlie Hurley was sleeping in his headquarters at the nearby home of Humphrey Forde in Ballymurphy where he had convalesced after his injuries. During his convalescence he spent a lot of his days with the O’Mahony’s of Belrose, Upton ( the birthplace of Noel O’ Mahony who has been actively involved with Bandon G.A.A. Club nearly all his adult life ). Reports came through at two in the morning of major British troop activity in the Upton area. The British army were advancing on the area from everywhere, Bandon, Kinsale, Macroom, Ballincollig, and Cork city. Unfortunately Charlie Hurley was right in the line of this British advance and Scouts were sent to warn him and Sean Buckley ( Brigade Staff Officer ) of the British movements and to get them safely to camp in Crossbarry. Unfortunately the Scouts were captured by the British and Charlie Hurley slept on in Forde’s of Ballymurphy, blissfully unaware of the fateful events that were unfolding. He was awoken just before dawn to the sound of British soldiers battering down the front door of his accomodation with their rifle butts. Heroic to the end he insisted the people of the house remain upstairs in safety and oblivious to his own fate and clad only in a shirt and trousers, he bravely proceeded down the stairs, with guns in hand and loaded. With typical raw courage he rushed the English troops some of whom at this stage had entered the house and he advanced to the kitchen, and after a short skirmish he left one Black and Tan dead and two wounded on the floor. He then tried to make his escape through the back door, but his gunfire had alerted the many British troops, allowing them to re-group and position themselves in the farm-yard. He was met with a volley from at least a dozen rifles, and there alone fighting the “Black and Tans” he fell mortally wounded, exactly as he had foretold. Ironically the volleys of shots were heard across the valley by his Column in Crossbarry and they knew in their hearts that their comrade Charlie Hurley must be dead. His fighting spirit lived on however and would inspire his beloved West Cork Brigade to a great victory over the British later that same morning, Saturday March 19th in Crossbarry. Luckily his body was accidently recovered from the Workhouse Morgue in Bandon on the following day ( Sunday ) where it was discarded together with the bodies of the other three heroic Volunteers who died in the Crossbarry ambush. His remains were taken to the Church in Clogagh, where he would be buried. “Owing to the war, it was not possible to have the fighting men of West Cork at a public funeral. We had to choose between giving him a public funeral or one where only armed Volunteers would be present. We chose the latter as we knew he would wish it to be so”. Today from the comfort of their plush centrally heated and air conditioned Offices mainly in Dublin, revisionist so-called Historians continue to question the motives and mindset of men like our own Charlie Hurley. In truth you cannot in twenty first century Ireland put a value on the lengths these men were prepared to go to win freedom for Ireland. Lying in wet ditches and frozen with the cold, days and nights without sleep or proper food, living in the absolute certainty that if you were captured you were dead.We cannot even begin to imagine the tension and trauma in their lives, compared to how we live today. These men of 1920 / 21 were a different breed from a different time, far superior men to those who now with all the creature comforts modern Ireland gives them, those who try to sit in judgement on our freedom fighters and their actions. We must remember them and honour them. We must preserve their rightful place in our Country’s History. Over the years a myth has been perpetrated about Bandon and it’s contribution to the Nationalist cause (or percieved lack thereof) in the period from 1916 to 1922. Indeed many loyalist and anti-nationalist labels may have been incorrectly attached to Bandon over the decades. Republicanism was alive and well in Bandon during this period, and indeed few residents of any other town in West Cork suffered or sacrificed as much as the Republican community of Bandon did during that time. Bandon G.A.A. 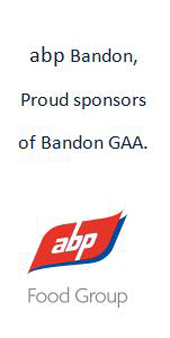 Club is very proud that the descendants of many of those who gave their lives for their country during that time, have proudly worn the “lilly white” jersey of Bandon over the last one hundred years. It is only fair and proper to try to set straight the record of the great sacrifices that the Bandon area made during those fraught times. On August 29th 1920 Lieutenant Tim Fitzgerald of Gaggin, Bandon was killed in Brinny. On October 01st 1920 Lieutenant John Connolly of Shannon Street, Bandon was killed in the town. 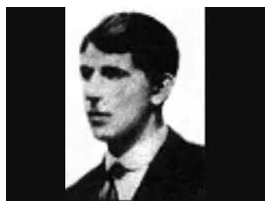 On November 28th 1920 Lieutenant Patrick Deasy of Kilmacsimon Quay,was killed during the Kilmichael ambush. On December 03rd 1920 Lieutenant James O’ Donoghue ( brother of the late Bill O’ Donoghue), Shannon Street, Bandon, was killed in Bandon. On December 03rd 1920 Section Commander Joe Begley, Castle Road, Bandon was killed in Bandon. On March 19th 1921 Volunteer Peter Monahan, Bandon, was killed in the Crossbarry ambush. On May 09th 1921 Captain Frank Hurley, Lauragh, Bandon, was killed in Bandon. On June 10th 1921 Volunteer Mathew Donovan, Quarries Cross, Bandon was killed in Quarries Cross. On June 22nd 1921 Volunteer John Murphy, Cloghane, Bandon,was killed at Cloghane. The Memorial at Upton as it is to-day. It was unveiled by Flor Begley in 1968. The late Flor Begley was a famed Bandonian who was the Piper at both the Kilmichael and Crossbarry ambushes. He also led the funeral cortege at the burial of Charlie Hurley in Clogagh. Oblivious to his great heroism in his youth, he ran a family Newsagents on the Main Street in Bandon for decades. The Old cemetery in Clogagh where Charlie Hurly is laid to rest is a beautiful rural setting about ½ mile on the Kilbrittain side of little Clogagh village. It is well sign-posted and well worth a visit. The smaller head-stone on the front right bearing the inscription “ Hurley “ belongs to his parents John and Mary who are also buried there. Also buried there is his brother Liam who pre-deceased him in 1918 and was an active Officer in the West Cork Volunteer movement.